These extraordinary Indalo pill boxes (or keepsake boxes) feature the magical good-luck symbol of the Indalo. 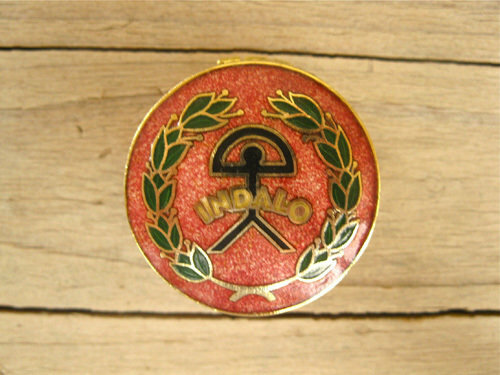 The Indalo symbol is steeped in history and is said to have magical powers to offer protection from harm, and bring happiness and good fortune. Even today, in the small village pueblos of Andalucía that lie hidden behind the giant sierras that roll down to the Mediterranean shores, the Indalo is known for it's magical good luck powers. These small, enamelled boxes are ideal for pills, tablets or sweeteners. The boxes come in a variety of colours and shapes: Please choose from the menu when ordering. Remember: It has been scientifically proved: Lucky charms make people feel good. Enamel boxes come gift-wrapped, like all our presents (with an information card about the Indalo) - and we can print a personal message on your behalf. More information about Lucky Indalos . .